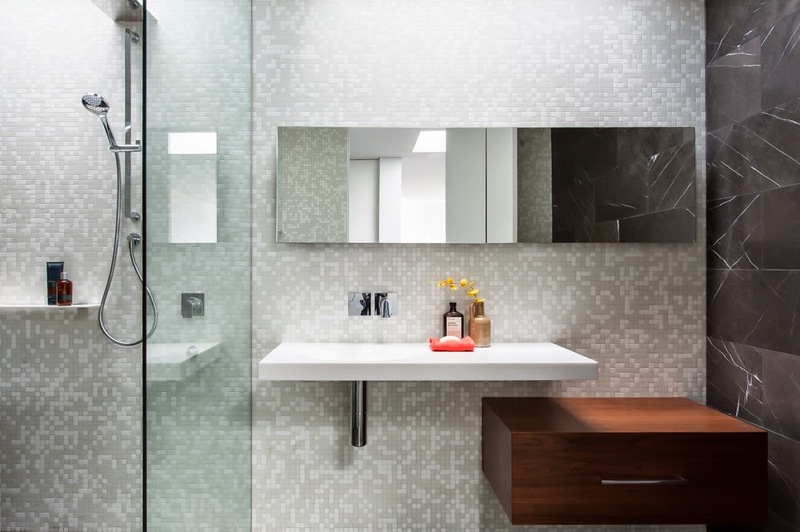 What is the best bathroom design layout? What is the best use of the area i have? 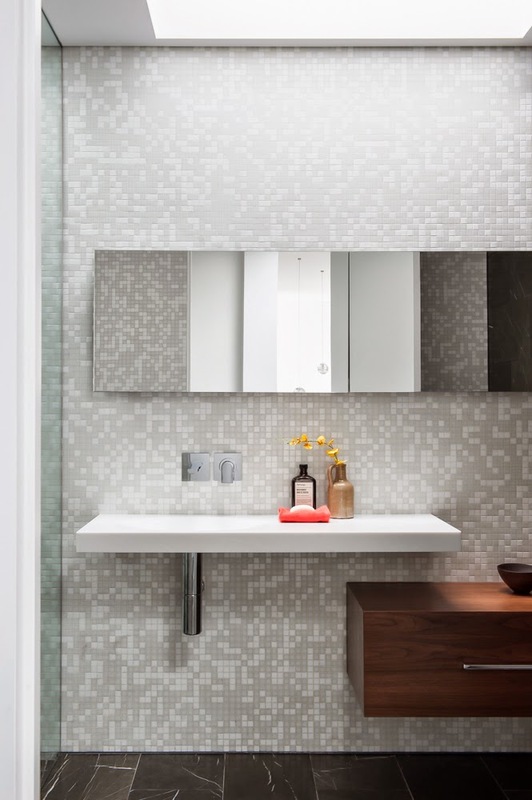 How do we establish this design to move forward and create bathroom space that function and look great? When we focus on a particular the space the first thing you must understand is who is going to use the space, what is it's primary function and then begin the spatial plan and layout of the area. In this case the space was to be used as the main bathroom, a place the bath the kids and bathroom that would grow with them to a certain degree. A wet area has been created at the end of the bathroom so washing the kids is a breeze, adjustable showers so as the kids grow there is no limitation. This is also a removable element for washing hair and so on.. The toilet is concealed behind the door to offer privacy and the Bathroom Furniture is the first thing we see as we walk past or walk in. The furniture has been installed on the stunning Bisazza tiles which are in contrast to the honed marble tiles. Skylights have been installed over the basin and shower with lighting concealed out of view, this offers incredible natural light to a space that has no windows. 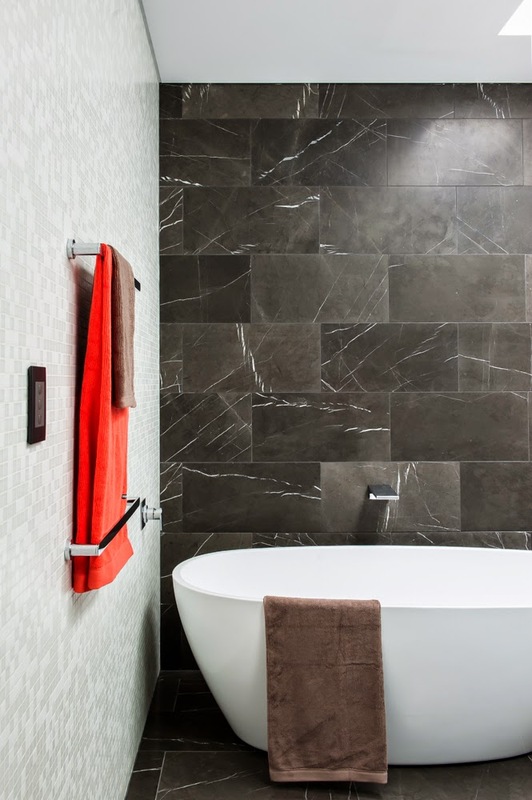 Overall the bathroom design of this space is contemporary modern with a real warmth. The Bathroom furniture is locally made in Sydney by Minosa for this project.